Get a Lake County Traffic Ticket? You Can Beat It! Did You Get a Ticket in Lake County, California? You can fight Lake traffic tickets by getting them dismissed much easier than you may think. In Lake, California, drivers are allowed to contest a traffic ticket using a Trial by Written Declaration. This is best way to fight a traffic ticket without going to an Lake courthouse or hiring an expensive Lake traffic ticket lawyer. We have found this to be the best way to contest a California traffic ticket, period. This option is available to every driver who receives a traffic ticket in Lake, California. In fact, if you turn over your traffic ticket you will see that a Trial by Written Declaration is listed right on the back of your ticket as one way to fight it. This process has been around since 1978 to avoid having to pay traffic ticket fines. TicketBust has been helping California drivers prepare Trial by Written Declaration’s for over 15 years. In fact, tens of thousands of vehicle tickets in California have been contested using our system. We are the original traffic ticket fighter and the TicketBust system has been developed specifically to prepare all your documents properly based on how you answer a few questions. This way you can fight your ticket, knowing you have maximized your chances of having the court dismiss your Lake County traffic ticket. When you contest a ticket using a Trial by Written Declaration not only don’t you need to go to court, but you don’t even need to take traffic school if the ticket is dismissed. If the ticket is dismissed, no point will appear on your driving record and the bail will be refunded to you in full. If the ticket is not dismissed and you are eligible for traffic school, then you should still be eligible after a Trial by Written Declaration. TicketBust service will prepare your full defense package for you, which includes your Trial by Written Declaration and all the defense documents required by Lake traffic court. Fill out the yellow form to fight your Lake traffic ticket now! Did you know that you aren’t allowed to pass the white limit line when you are stopped at an intersection? From our experience, this can be a common ticket issued in the county of Lake, so be on the lookout and stay behind that solid white line. If you find yourself having received a traffic ticket in Lake, give us a call or fill out our form to see how we can help! Lake County’s vineyards can be traced back to the 18th century, established by Spanish missionaries. The area had European-American settlers from at least the 1840s and has long been known as a farming and agricultural community. The county gets its name from Clear Lake, the largest geographical feature in the area and the largest natural lake wholly within California. Nearby, Mount Konocti, the largest volcano of the Clear Lake Volcanic Field stands at 4,299 feet. Mount Konocti was largely revered as sacred by the Pomo Indians who inhabited the region as many as 12,000 years ago. At the time of California’s statehood in 1850, nearly 3,000 Pomos still called the area home, but due to enslavement and mistreatment by Spanish and European settlers as well as a lack of immunity to diseases, by 1900 only 450 Pomos survived. Today, six Pomo tribes reside in Lake County, and three bands operate casinos. It wasn’t until May of 1861 and a combination of land from Napa, Mendocino, and Colusa counties when Lake County was formed. In 1874 steamboats began ferrying residents around the lake, encouraging hotels and resorts to be built quickly and wealthy visitors to indulge in a trip to the area. Despite being the only county without access to a railroad line, more and more people traveled to the area and as the word spread about the area, the population grew. Today, over 64,000 people reside within the 1,329 square mile area. 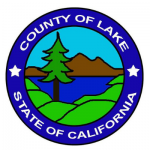 Lake County has been ranked 24 times as having the cleanest air in California and as the cleanest in the nation in 2013, 2014, and 2015 by the American Lung Association. The area is part of California’s Wine Country and contains over 35 wineries.